What is the SQL Server Early Adoption Program (SQL EAP)? The SQL Server Early Adoption Program (SQL EAP) is a Microsoft program started in January 2017 to help both customers and partners adopt the next version of SQL Server before general availability. Who is SQL EAP for? If you are interested in adopting SQL Server v.Next on Windows or Linux in production, then SQL EAP is for you. SQL EAP is also for partners who want to build SI (system integrator) offerings and ISV (independent software vendor) applications using SQL Server v.Next. Upon successful validation, these applications and solutions can be supported in production prior to the general availability release. Customers and partners who would like to validate new features such as Adaptive Query Processing and High Availability (HA) on Linux are an especially good fit for SQL EAP. Enroll for the program here. Through the program you will have direct access to the engineering team through a Program Manager Buddy. Your PM Buddy is there as a primary contact within the development team to help connect you to the right people to help your solution adopt SQL Server v.Next. Typically, PM Buddies communicate with the customer via email and regularly scheduled meetings. PM Buddies help scope the project when the customer first joins SQL EAP so that there is common understanding of the schedule and requirements. SQL EAP participants have the opportunity to bring your workload to the SQL Customer Advisory Team Customer Lab to directly engage and test with the SQL Server team. Customers in SQL EAP will be able to try out new features, sometimes before the public gets to see them, and provide the feedback directly to the engineering team. 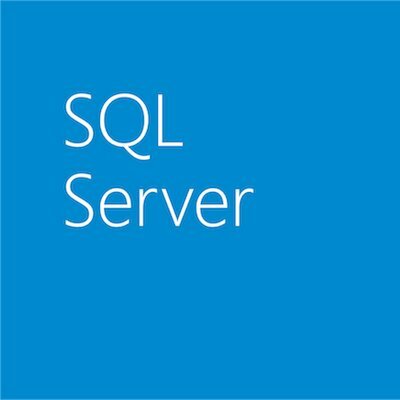 They will have the opportunity to provide input into the prioritization of product requirements for SQL Server v.Next via regular surveys. Participants will also be able to discuss feature design with PMs. You will have access to a private Yammer group for SQL EAP customers to communicate with one another and the engineering team, helping customers learn from each other. Content on the private Yammer group will be considered confidential and covered by the Microsoft NDA required to participate in SQL EAP. Customers going into production will be fully supported by Microsoft Support before general availability. A special support channel is provided to raise cases for SQL Server v.Next. The SQL Server engineering team will be backing up the Microsoft Support team to provide assistance as needed. Customers in production will also have support for release-to-release upgrades. Complete the form here. Enrollments will be evaluated and a PM Buddy aligned to access workload validation and those on track for production deployments. An NDA with Microsoft will be required to participate in the program. If you do not already have an NDA, we will help to get one signed. Customers in SQL EAP that are going in production will need to sign a EULA amendment that grants them the permission to use the software in production. Apply for the program here! Our SQL Early Adoption Program where you can get advice from our technical experts and get technical resources to help upgrade or migrate your applications to SQL Server v.Next. We will have a Q&A session at the end of the webinar.